This has meant risk-scoring, regular monitoring, thorough contracts with service level agreements and on-site visits of vendors. 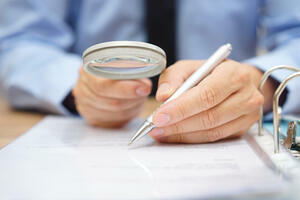 On-site vendor visits are a vital part of ongoing due diligence for financial institutions. They can yield valuable insights into the vendor’s controls and general environment. Going on-site allows you to verify that the controls written are not only in place, but function effectively. There is likely no way to know how well a clean desk or physical security policy is enforced without going to a vendor’s facilities. Is your company involved in a complex vendor or technology selection project? If so, an on-site visit is recommended. However, these visits can be costly in terms of time and money for a company. Fortunately, if you’re a VendorInsight® client, you don’t need to personally conduct on-site visits. Our powerhouse due diligence experts can provide you with options to outsource on-site visits. After a risk assessment of a vendor is completed, a financial institution should perform due diligence for critical/significant vendors identified during the assessment. Part of this process can include an on-site visit and report of findings. This continuous monitoring using a qualified, independent third-party such as VendorInsight® can regularly test your bank’s controls to manage risks from vendors. VendorInsight® provides you with an experienced industry expert who can offer insight as you make your decision and evaluate vendors. This qualified representative will conduct the on-site visit on your organization’s behalf to validate the controls your vendor is required to have in place. A primary goal of an on-site visit is to validate claims made in the vendor’s sales presentations and proposals. With VendorInsight® visiting for you, you’ll save time, money and be provided with an objective perspective. Our experts can step back and see the vendor through fresh eyes. The critical activities of a bank’s third-party suppliers become more important with each new fiscal year. VendorInsight® can help you avoid risks that could damage bank operations by doing your due diligence for you. For more information about how VendorInsight® can provide the most thorough and comprehensive on-site visit for your enterprise, contact us today.